Meet Alexamdra, our National Lead for Hungary! 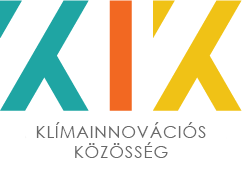 I have been involved in Climate-KIC programmes since 2014. I have a background in Business Administration and Environmental Economics. Currently I am working for Pannon Pro Innovations. Since 2014 – when our team became part of the Climate-KIC community – we have been incubated +130 startups and €1M grant was awarded. Honestly? I found no excuse to stay away from Europe’s largest and most boosting cleantech idea competition. It’s just great! It puts cleantech entrepreneurs into the spotlight. As the competition is very well designed and focused it will help EIT Climate-KIC to be recognised as the first choice for cleantech innovators, entrepreneurs in Europe. We also run the EIT Climate-KIC Accelerator and Greenhouse programmes.